Rev. Ken Box’s great uncle was an ANZAC of World War 1 who was provided with a book of poems written by returning and returned soldiers. 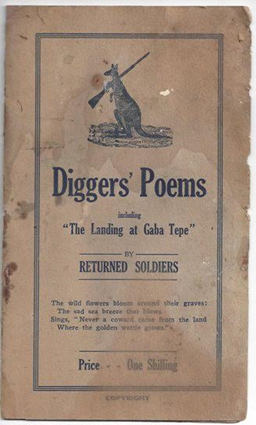 These six little known poems are reproduced in this book and represent a “window” into the thinking, emotions, and feelings of the returning ANZACs. Ken Box notes this little book was found in an old tin trunk of his great uncle’s that was left in his machinery shed after his aunt died. These six poems may not be of significant literary value, nor may the poems compare with those from the recognised War Poets, such as Siegfried Sassoon or Rupert Brooke. They do represent, however, the voice of the “ordinary” Australian soldier, and are included here for that reason. They were written during or shortly after the conflict had ended and provide a haunting insight into men coming to terms with the situations in which they found themselves. As such, they are part of an important social history archive. The poems speak of the Australian self-identity, of Australia’s contribution to the war, of mateship and companionship, of grief for the loss of companions, of courage and resilience, and of a hope for a better future. Bringing the spent men back? By England to take their stand. Thus they are coming home! The gaps in the stricken line? Where they charged up, fought and beld. And a name that never will! Of the burden of their cross. The men that the white ships bring. 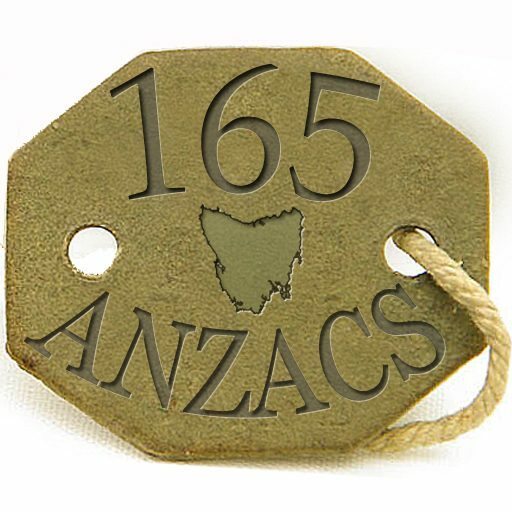 The ANZAC name is their own. Written after hearing a wealthy merchant speak disparagingly of Australians by E.M.C., a South African. And they’re sending thousands more! On the long and glorious Roll. Our love, our pride, our thanks? Why, they saw one drinking beer. Could they rest in their beds at night-time? Or live in their damned content? When one or two get drunk? Than a wealthy Durban funk! For we’re not all made like you. Thrills us thro’ and thro’. Or perhaps we would try to do more. Who is showing us the way! That landed at Suvla Bay? To make the final dash. The landing at Gaba Tepe. ‘Twas our grand fleet led the way. And play such a wonderful part. An affray on a Turkish shore. To make the dread trial to land. A chip off the old British block. Came up to help finish the fun. Not one lad fainthearted, but glad. And many were drowning as well. But a contest for a cause and for right. To the Germans and Turks up ahead. Far back in his own native land. Left none of their courage behind. And shouting with cheer after cheer. Until death, will never leave mine. So, dear little one don’t fret. So dear little eyes don’t weep. So, dear little heart don’t break. For one glimpse of its beauty we’d love to behold. It will be when our fighting is needed no more. We’ll fight for you, honour and liberty. To the land of the emu, the wattle and fern. Through mud and snow and damp. That’s how my cobber died. And am lonely now he’s gone.